Weddings are timeless memories rallied by family and friends. 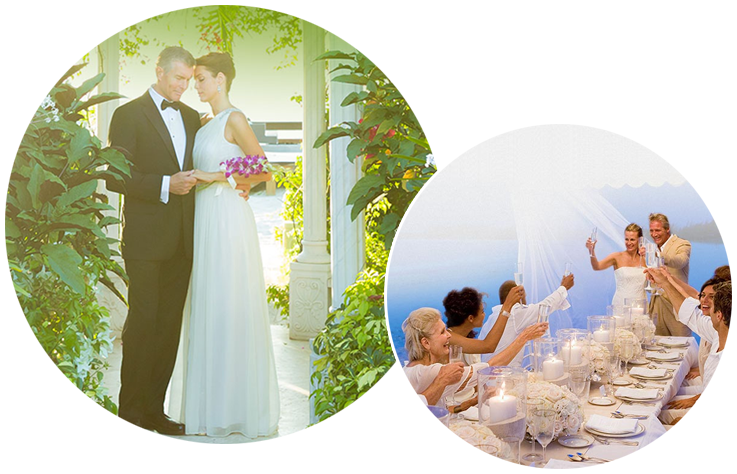 Our wedding department management has over 30 years managing and directing every aspect of the wedding experience. No matter the venue; cruise ship or resort, we pay close attention to the wishes of the bride and groom while focusing on the details. 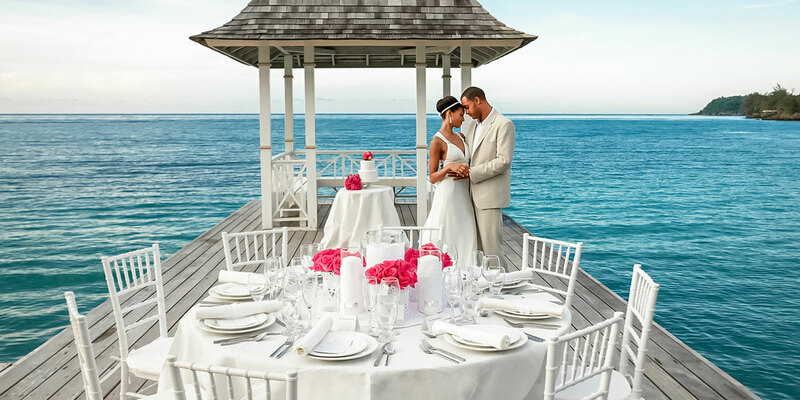 Retain RJ Travel Advisors™ to book your Sandals free wedding themed “AISLE to ISLE” or customize your wedding at any Sandals. Our “AISLE to ISLE” wedding has everything you need to celebrate your special day with elegance and simplicity. It’s the perfect start to the perfect marriage. The customized wedding can be designed to meet any expectation and “Always Dreamed Of ” wedding. If you can dream it we can make it happen. 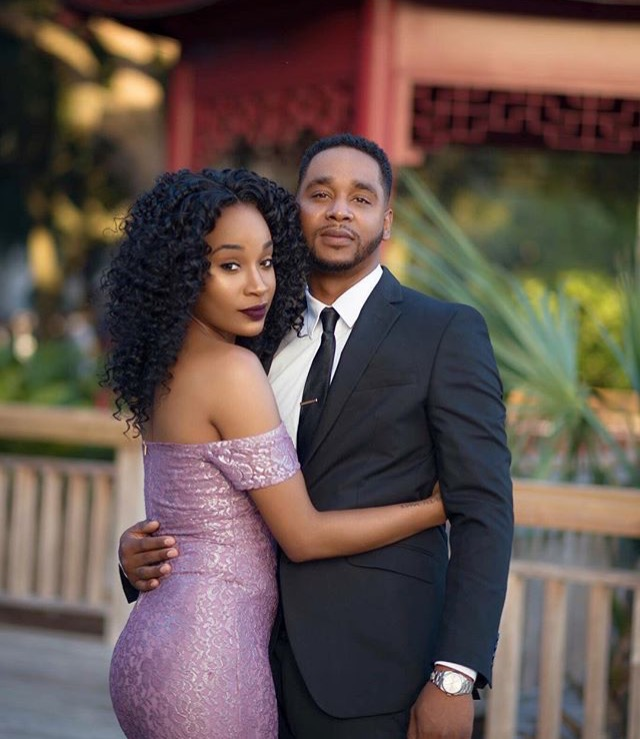 The moments “AFTER” the thoughtful “YES” and the numerous congrats, well wishes ushers in a time of the personal tender moments that are only shared between the newly weds. 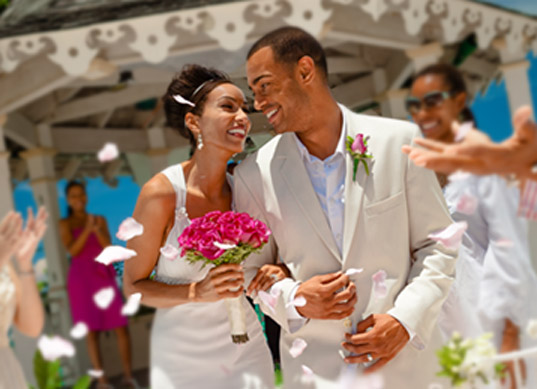 RJ Travel Advisors™ books and manages all-inclusive wedding packages themed as the “AISLE to ISLE” by Sandals. Best of all the “AISLE to ISLE” wedding package is FREE! 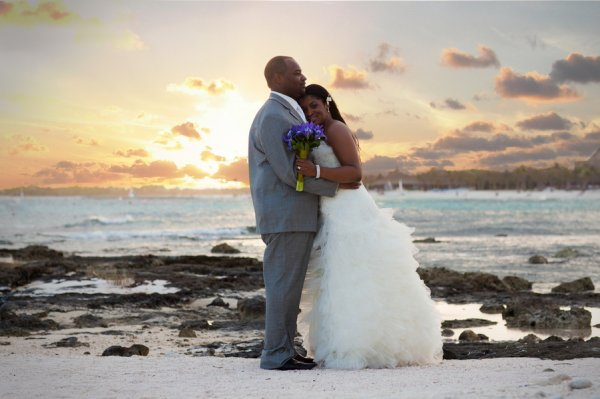 We represent many more resorts for destination weddings in Europe, Caribbean, South America, and in North America. The moments “AFTER” the thoughtful “I do” and the numerous congrats and well wishes ushers in a time of the personal tender moments that are only shared between the newly weds. Retying the knot says “I would Marry You Again and Again”. Let us show you the way to more great memories. RJ Travel Advisors™ represents quality resorts and hotels around the globe. Only the best is recommended for an occasion or event. 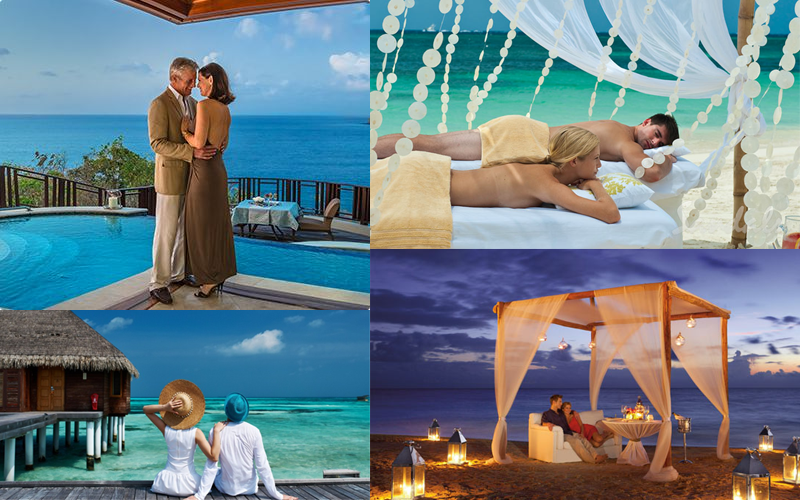 The resorts and hotels captioned in the banner above represent a snapshot of global 4 and 5 star accommodations we have suggested and managed for destination weddings. Get the best by the best for events and destination weddings. Weddings are timeless memories rallied by family and friends. From the time the question was asked, through the time in which the favorable answer was announced, the memories start to collect. To be wed on the ocean will indelibly mark the occasion in time and place. 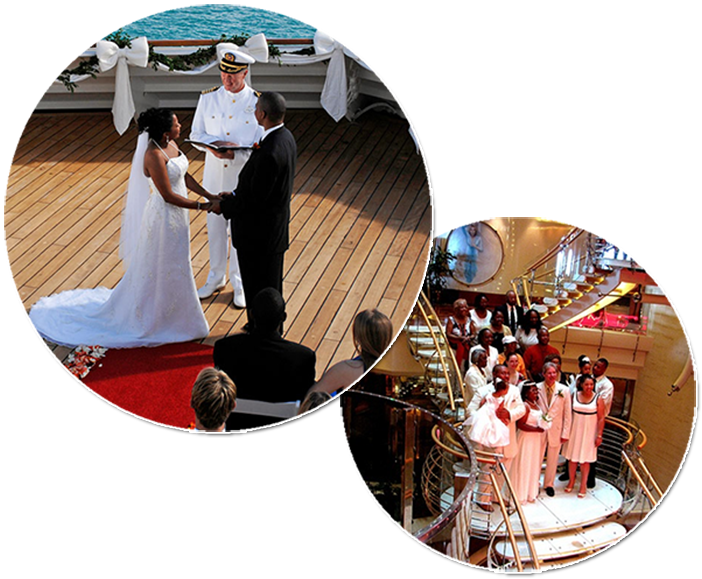 RJ Travel Advisors™ wedding planners/coordinators and director has acquired extensive experience and resources working with cruise ship staff making the occasion memorably beautiful, while paying close attention to the bride and groom wishes. RJ Travel Advisors™ All Rights Reserved © MMIII - MMXIX | ™ ® & © 2003-2019 RJ Travel Advisors™ Inc.
RJ Travel Advisors is a total source for all travel categories, world-wide. When you retain RJ Travel Advisors “We Work For You”. Get latest travel updates, groups, and exclusive content straight to your email inbox.